It’s been a while since my last post. Work is keeping me busy. So, posting takes a bit of a back seat until I get into some sort of flow again. Expect posts from now on to be more staggered but I will try and update as regular as I can. Spruced up the colors a bit. Only one more stage left…the inks. And then it’s complete. Hmm…need to change the face a bit. 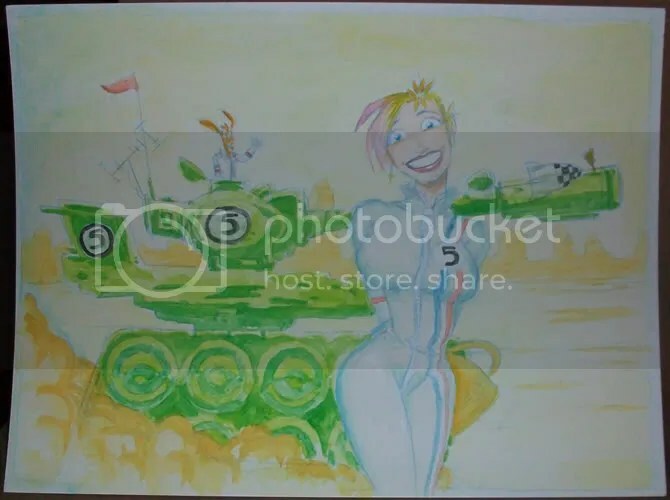 But this is the direction I’m going for the Tank Girl watercolor. 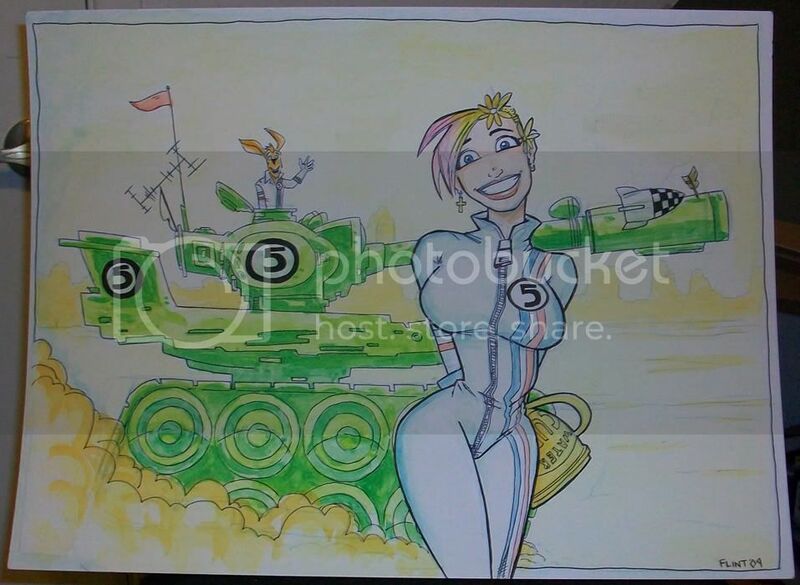 More ‘cartoony’ than the previous effort.